For many years, including before I became a Commissioner with the Fair Work Commission (FWC), I have spoken to employers both singularly and in groups about dismissing employees fairly. My approach is based on an acceptance that we are dealing with a relationship involving real people and that what is sought is an ending of that relationship. Forget about the three warnings before dismissal, forget about valid reason or opportunity to respond or the right to have a support person. All of that is the language of unfair dismissal provisions under the Fair Work Act. If an employer comes to the view that the employment relationship should end; then end it. Why spend six months to a year trying to manage a person out when at the end you may still face an unfair dismissal or unlawful termination application? The ‘be firm’ part of this approach is to hold to your decision that the relationship is at an end. It’s the relationship that is at an end and nothing more than that. Don’t be like the parents whose relationship has completely and irrevocably broken down but who stay together ‘for the children’. They often inflict more damage on each other and on their children than if they had separated as amicably as possible and as early as necessary. The ‘be respectful’ part of this approach requires the employer (or whoever is acting for the employer) to genuinely respect the human dignity of the employee to be dismissed. The employee has a name, a family, feelings, emotions, a sense of their place in society, a sense of their value as a worker, a group of friends including workplace friends and all of the other attributes that make-up being a real person. They are not simply a set of numbers or values in a human resources spreadsheet. The conversation with this person must be open, honest and direct. It is a conversation about the ending of a relationship. It is not a conversation about blaming the person, or accusing the person, or belittling the person. Remember always that the person being dismissed has to be able to explain their loss of employment to their family and friends and in some cultural groups they will have to explain themselves to their community leaders. The ‘be generous’ part of this approach is all about creating an environment where the person who knows and understands that the employment relationship is to end and who knows that they are being treated respectfully can accept that a real level of generosity is being offered by their employer as part of an ending of the relationship. What amounts to a generous offer from the employer will be different in each case. Most employers can accept the need to be firm and to be respectful but many fail to understand both the real value that comes from being generous and also what constitutes being generous. This is not the time to be stingy or parsimonious! If an employee is entitled to eight weeks’ pay on dismissal offering the person 10 weeks may not be generous. An offer of 16 - 20 weeks might be generous. There is nothing in the Fair Work Actthat requires an employer to provide a positive reference for an employee, yet an offer of a positive written reference with a guarantee of a positive oral reference to any prospective employers can often have significant value to a person who is about to be on the hunt for a new job. Allowing an employee to leave their employment in a dignified manner with the ability to say goodbye to workmates can be of enormous personal value to a person being dismissed. Inviting a person back to the end of year party might be required. The point of being firm, being respectful and being generous is to ensure that the person being dismissed knows that it is going to happen and that it is proposed to be carried out in the best possible manner. It should also be made clear that what is on offer is more than could be obtained if the offer is rejected and the person has to run a case for compensation before the FWC or a court. Real generosity, when an employer has made the decision that the employment relationship must end, may be a very cost effective outcome. In quite a few unfair dismissal matters where I have conciliated an agreed outcome, I have taken the opportunity to speak to the employer after the Terms of Settlement have been signed. I have explored with the employer how much time and effort they have put into the entire process of dismissing the employee and then responding to the unfair dismissal application and how much this has cost them. I then remind them that they have just agreed to a settlement. I then ask the employer to consider how much they would have saved, in time, effort and money, if they had made a generous offer to the employee as part of the dismissal process. Generally, at this stage the penny has dropped and employers understand that there was a better way that they could have handled the ending of the employment relationship. When you consider that nearly 90 per cent of unfair dismissal applications are resolved without arbitration it would appear that if employers adopted a better way to end the employment relationship a very large proportion of unfair dismissal applications would never be made. If the relationship is to be ended on agreed terms then there needs to be a document that formalises the end of the relationship. Terms of Settlement should be prepared and the person to be dismissed needs to understand that what is on offer is conditional on the person signing the Terms of Settlement. A mutual surrender of most rights to take any further legal action against the other side for anything relating to the employment relationship. A mutual undertaking not to say or do anything which harms the reputation of the other side. A mutual undertaking not to disclose the Terms of Settlement or any of the circumstances leading to the ending of the employment relationship. A practical point in offering generous terms to end the employment relationship by agreement is that part of the conversation can make clear that what is on offer is generous and is in excess of what the FWC could order in an unfair dismissal case. If an offer is made to end the employment relationship, the offer should be kept open even if it is rejected and even if the person commences an unfair dismissal or unlawful termination application. It can make for an interesting dialogue with any conciliator or mediator if a generous offer from the employer is still on the table and the employee has rejected it. Finally, there is often an overlooked element in this whole process of ending an employment relationship with one employee. Whatever approach an employer adopts in ending the employment relationship with a particular employee, a very clear message is also being given to all remaining staff about how the employer deals with its people and how they view the nature of employment relationships. 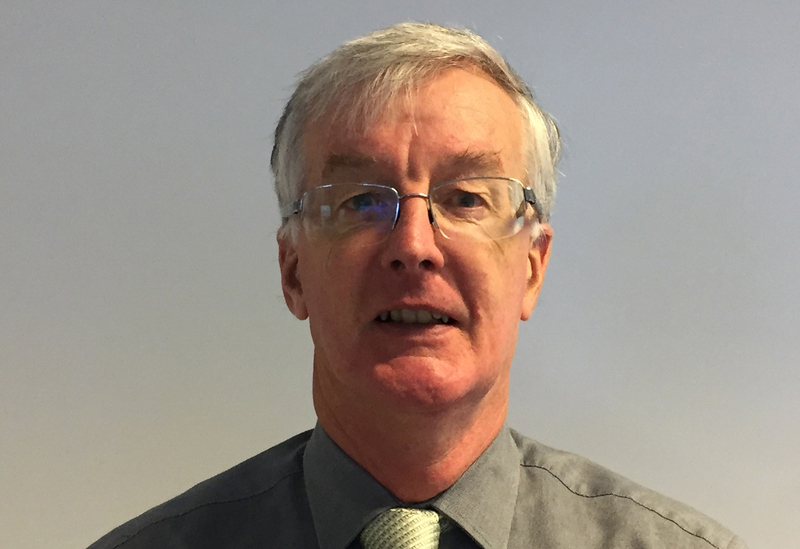 John has 38 years of experience in workplace relations. Prior to joining AMA Victoria in 2018, he was a Commissioner for the FWC for the previous eight years, where unfair dismissal claims were among his key functions. If members require assistance in preparing to dismiss an employee, please contact the Workplace Relations team on (03) 9280 8722.